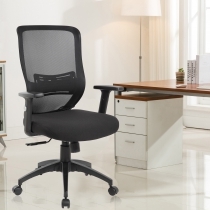 Breathable, adjustable in nearly every way, and supportive, this chair has all the features you would expect from a high-end, luxury office chair, at a fraction of the price. All black with chrome accents, the simple color scheme fits in with nearly any office or work environment. The high-quality mesh back is flexible yet supportive and is reinforced with an extra brace. It comes with a heavy-duty plastic base with chrome accents. Built for a full range of motion, this chair has a 360-degree swivel rotation and five double-wheeled, hooded casters. The wheels are made of sturdy, durable polyurethane, and are safe for use on hardwood floors. Designed with your comfort in mind, as well, this chair has an extra thick seat cushion that is perfectly molded for a great fit. 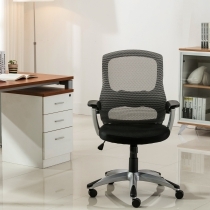 Both the headrests and armrests are also padded, so you can work at your desk for long hours without straining your neck or arms. 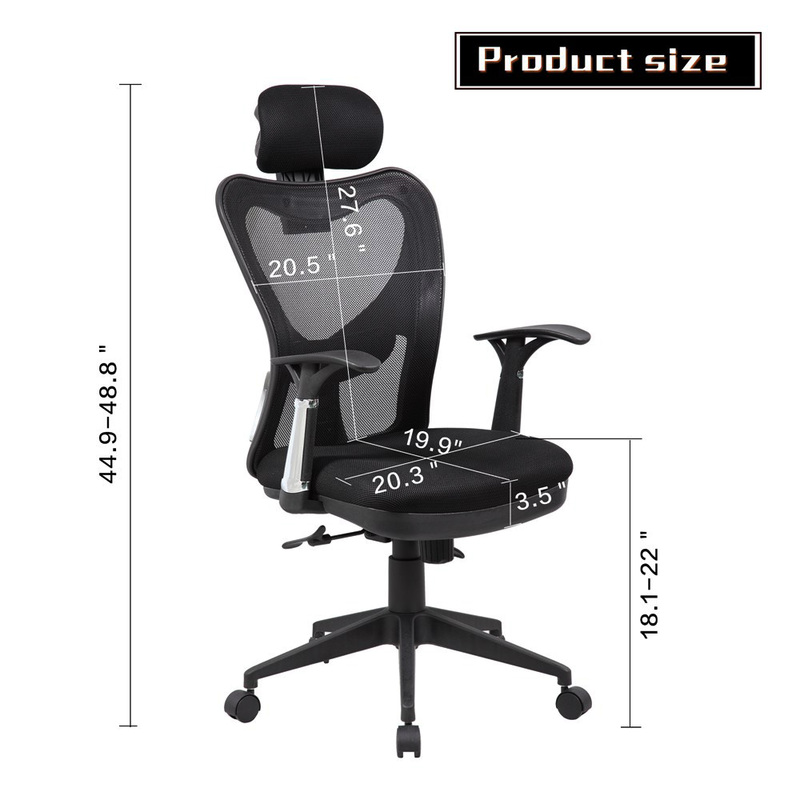 The reinforced and curved seat back gives you extra lumbar support. 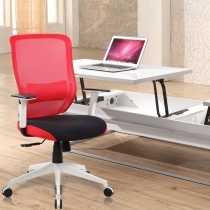 This chair has everything you could need to sit comfortably while you work. Nearly everything on this chair is fully adjustable to accommodate any user. The seat height easily adjusts to any user or work surface. 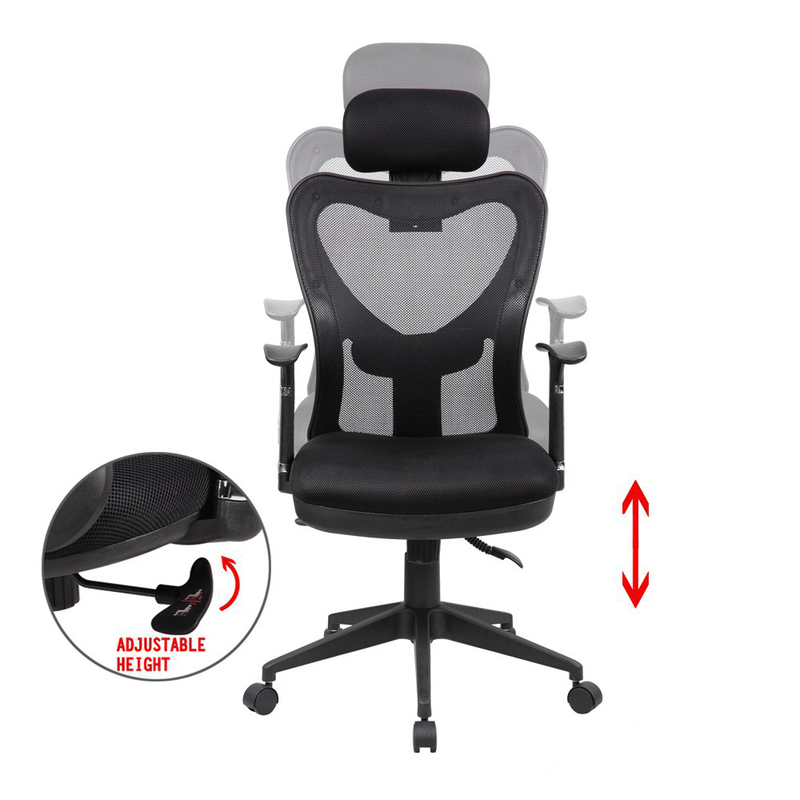 An adjustable, curved headrest ensures your neck and head will be supported. 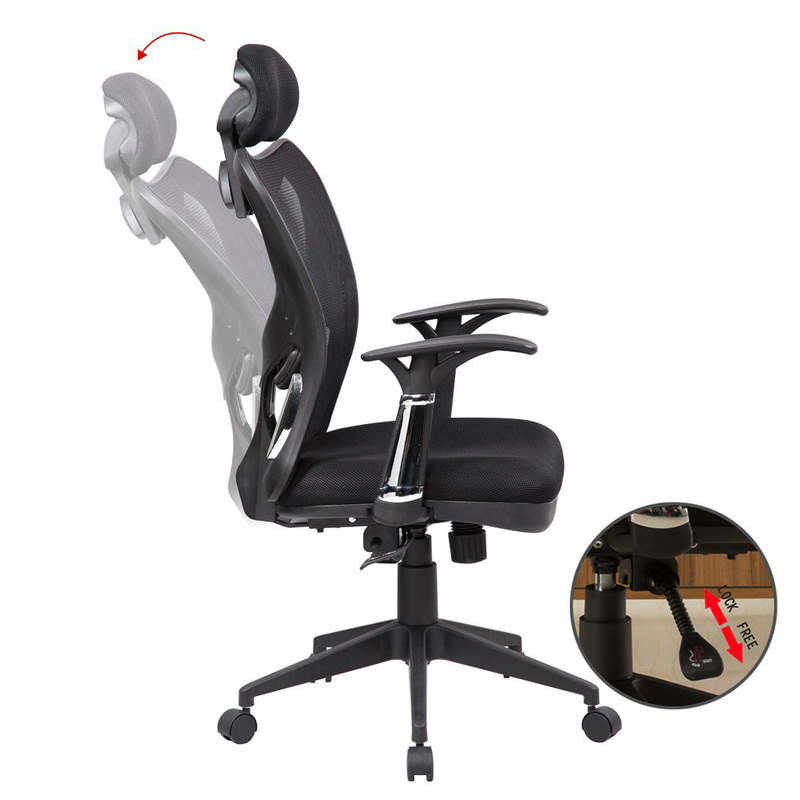 The chair also reclines when you're ready to relax, or when you just need to change the angle of your chair slightly.